Only 4 with Technology Package models left in stock! Tax, Title, Tags and dealer doc fee of $300 not included in vehicle prices shown and must be paid by the purchaser. While great effort is made to ensure the accuracy of the information on this site, errors do occur so please verify information with a customer service rep. This is easily done by calling us at (877) 300-4226 or by visiting us at the dealership. *Prices shown include a destination & handling charge but do not include taxes or license or $300 dealer doc fee. 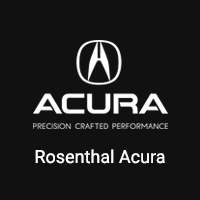 Destination charges for ILX, TLX and RLX is $995.00, NSX is $1800.00 and MDX and RDX is $995.00. Actual vehicles/accessory costs, labor and installation vary. Please consult your selected dealer.